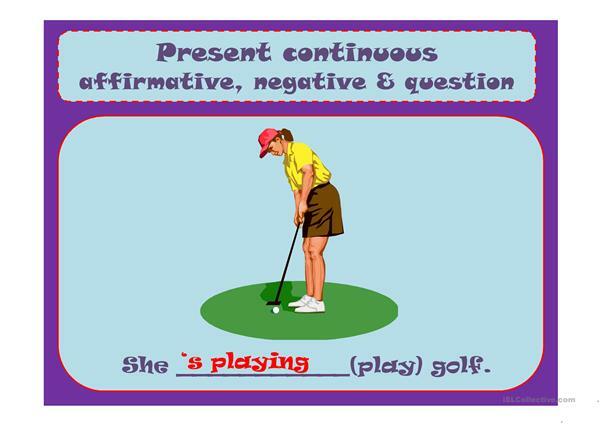 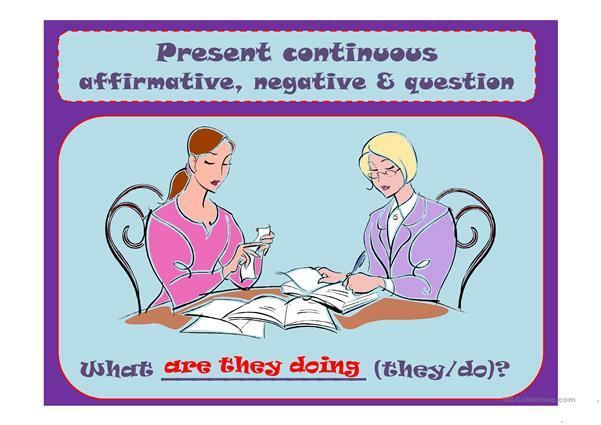 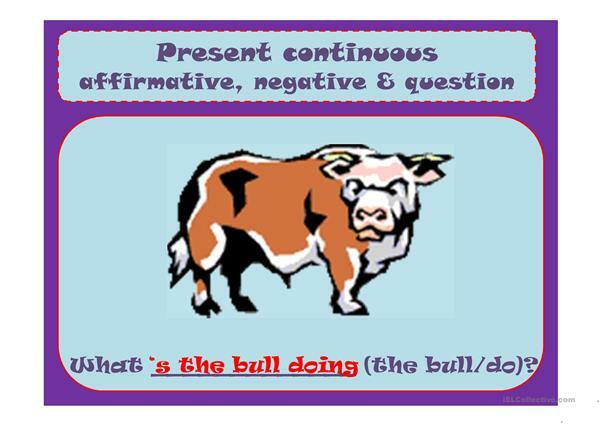 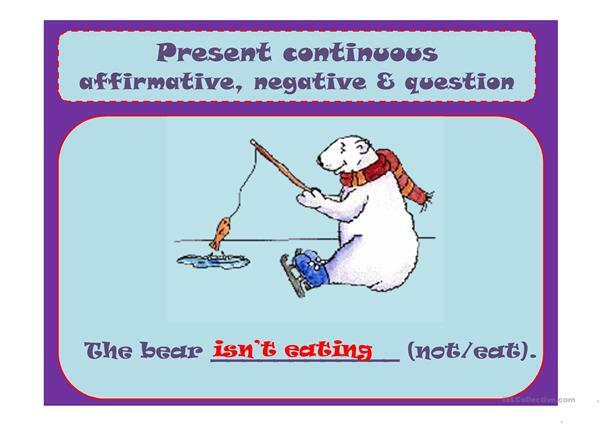 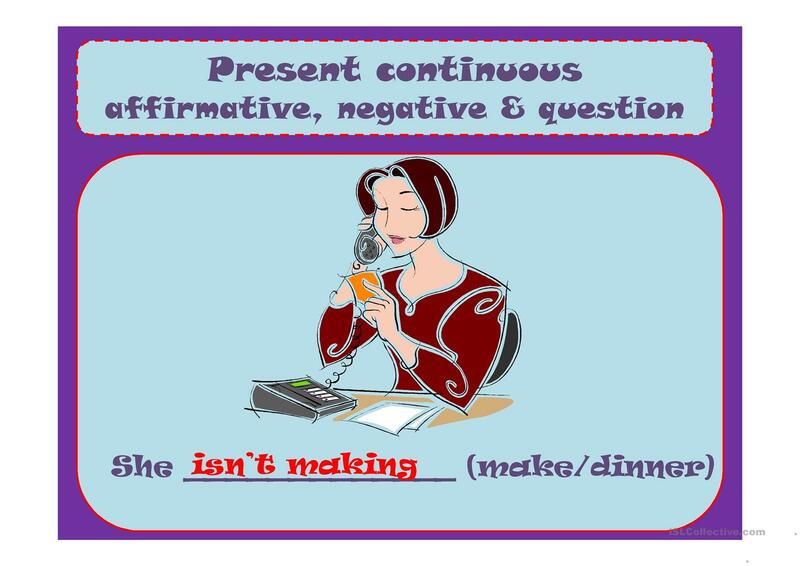 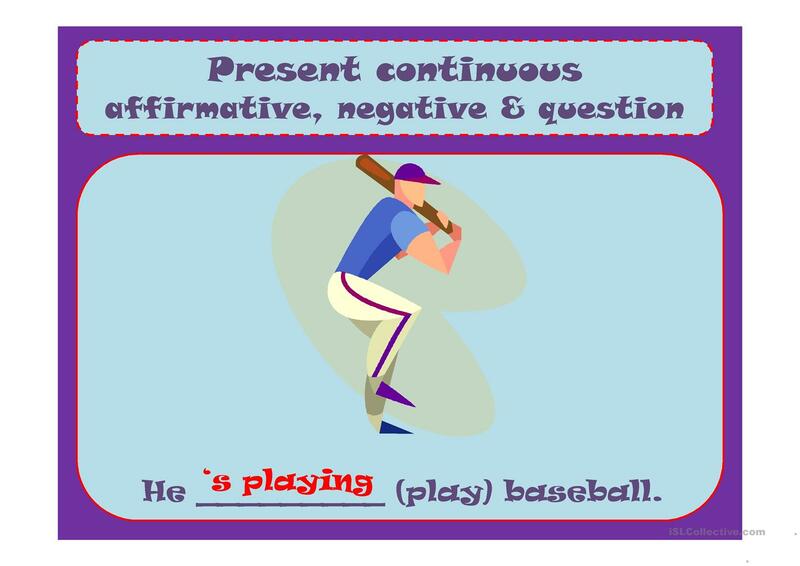 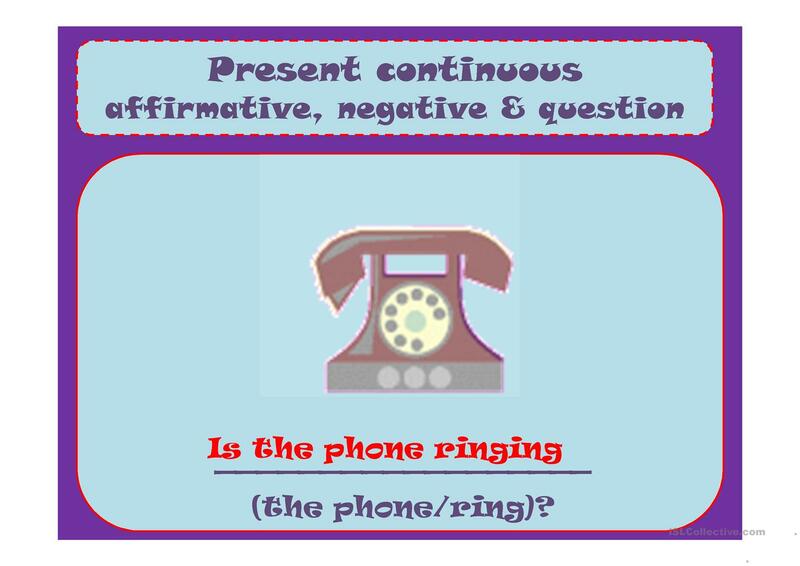 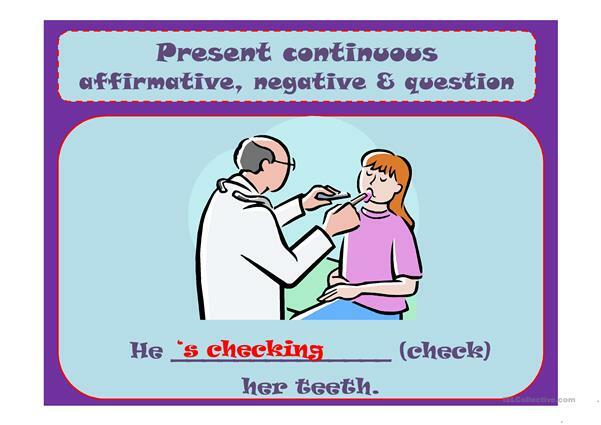 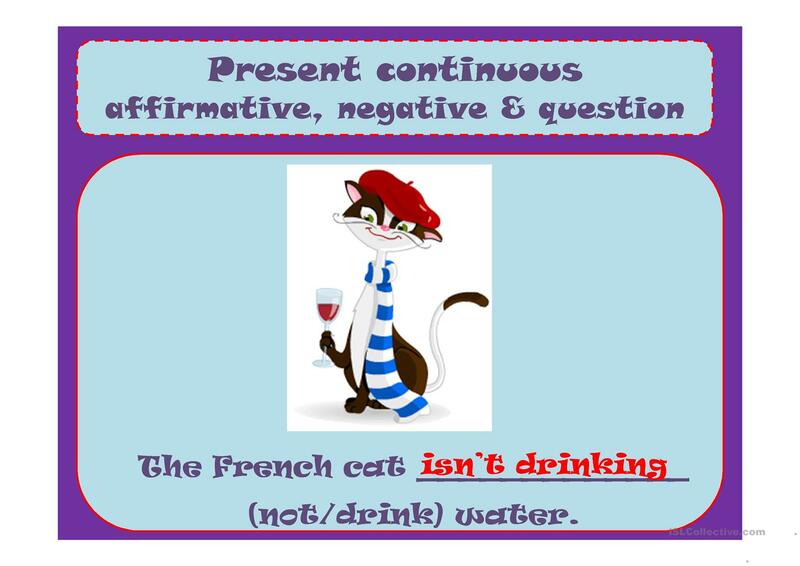 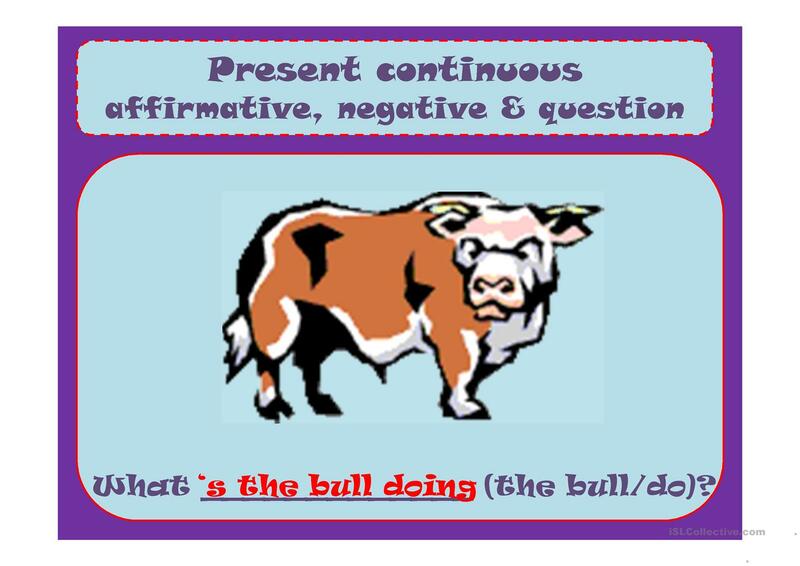 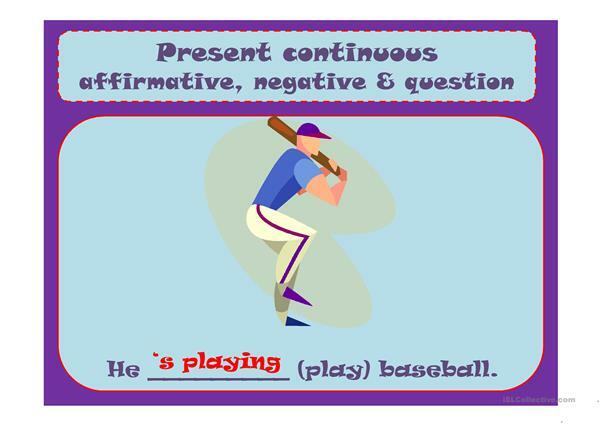 Another PPT where students have to put the verbs into the correct form of the present continuous: affirmative, negative or interrogative. 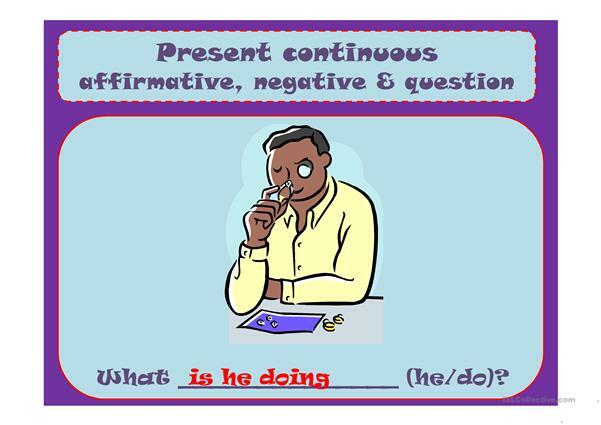 The present downloadable worksheet is best suited for business/professional students, high school students and adults at Elementary (A1), Pre-intermediate (A2) and Intermediate (B1) level. It is great for practising Present continuous (progressive) tense in English, and is excellent for enhancing your pupils' Speaking and Writing skills. You will find the answers at the end of the worksheet.